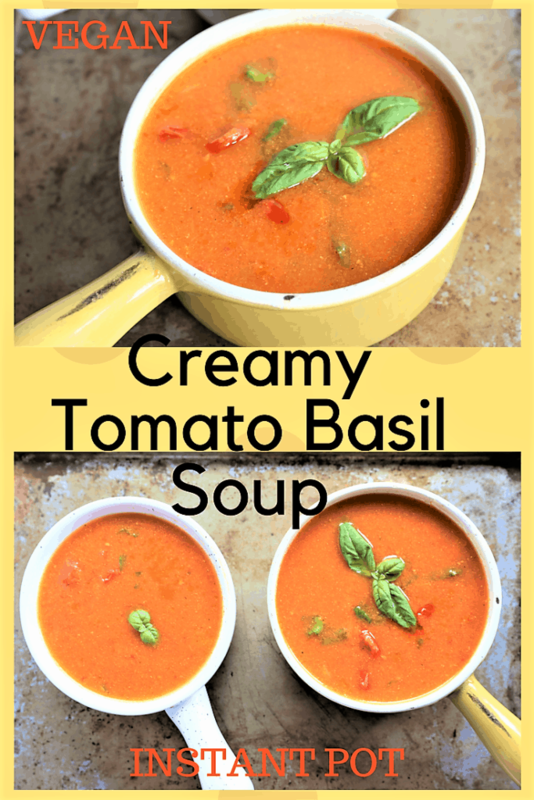 Creamy Tomato Basil Soup Instant Pot in 30 minutes! Vegan,gf,dairy free. 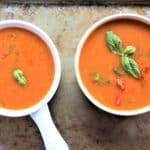 Creamy Tomato Basil Soup Instant Pot. I have been eating tomato soup all of my life. 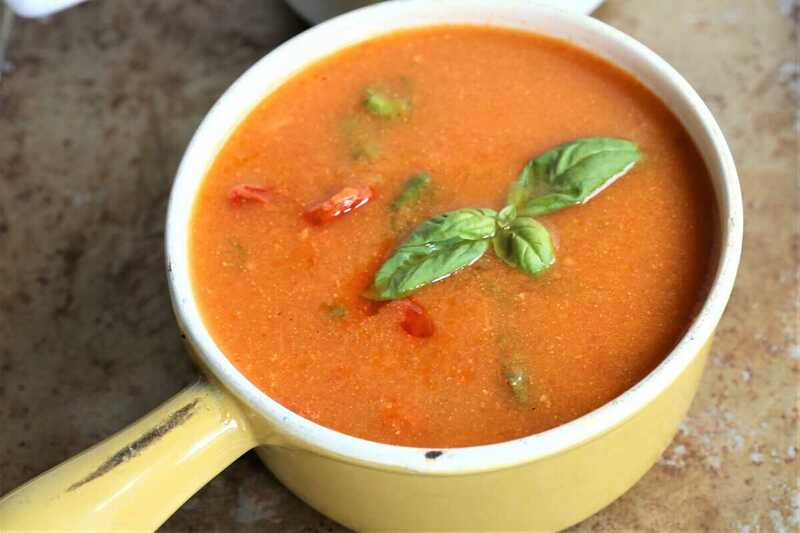 It seems that a soup described as tomato soup, would be boring and that it would not offer many opportunities to be creative with ingredients or flavor. 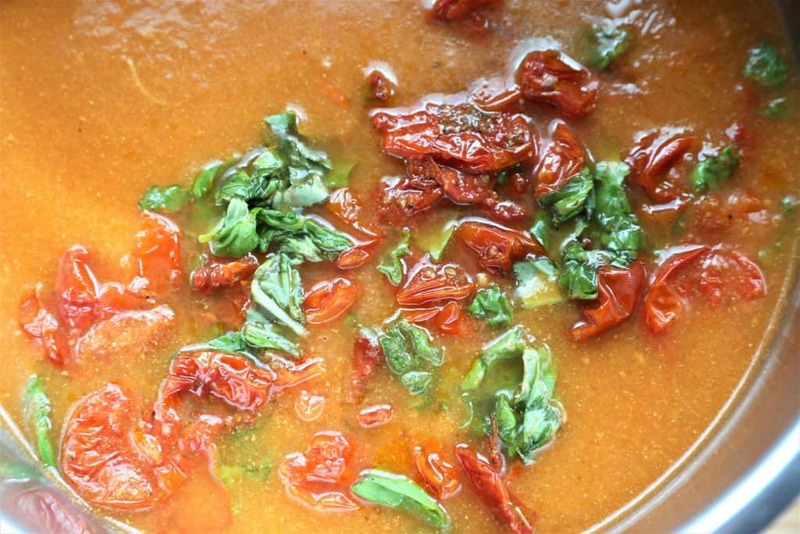 This tomato soup is cooked in the Instant Pot with fresh tomatoes, basil and sun dried tomatoes, and it is a whole new flavor of tomato soup. Try it, you’ll love it. It is ready to eat in 30 minutes! Vegan, gluten free and dairy free. 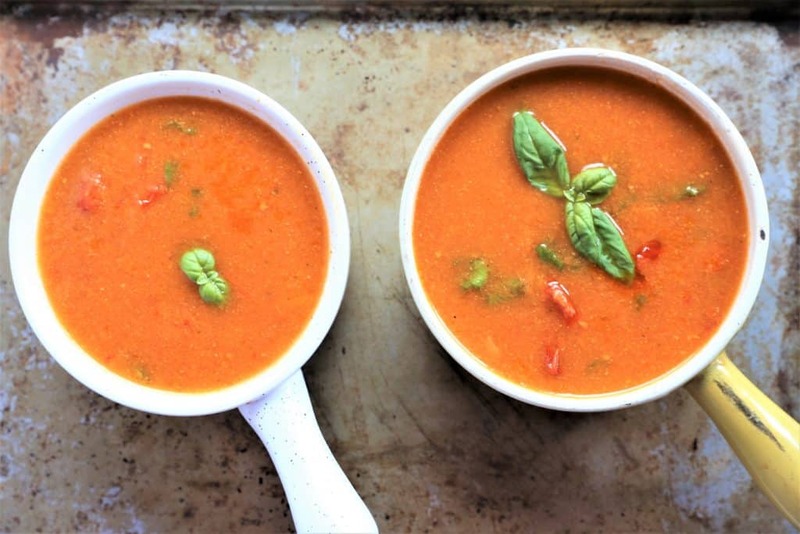 Creamy Tomato Soup With Basil is the warm comfort that you need on a cold winter day. Fresh and delicious with options for Instant Pot, Crockpot or stove top. Vegan, gluten free and dairy free. 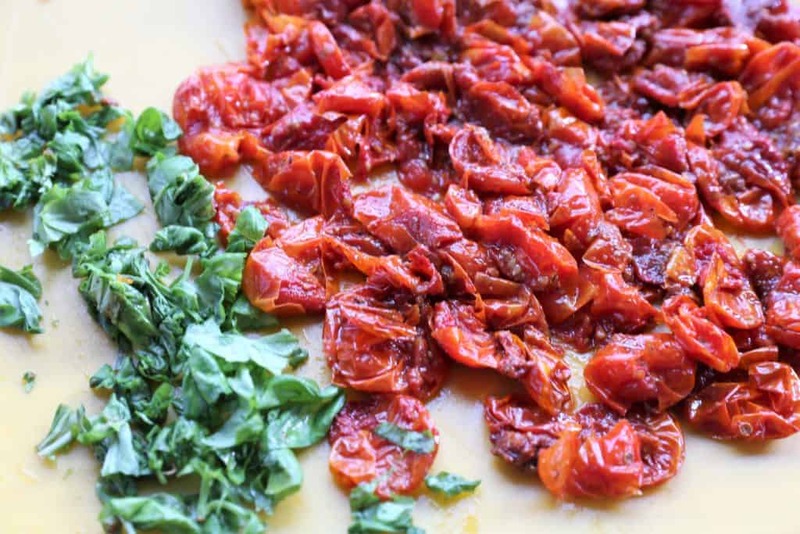 Warm your Instant Pot up by setting it on Saute while you are preparing your ingredients. Set on high pressure for 5 minutes. If you don't preheat your Instant Pot, takes several minutes (up to 20) to warm up before it starts cooking the soup. After the soup is cooked, let it set for 10 minutes to let most of the pressure to release naturally. Release pressure valve carefully. 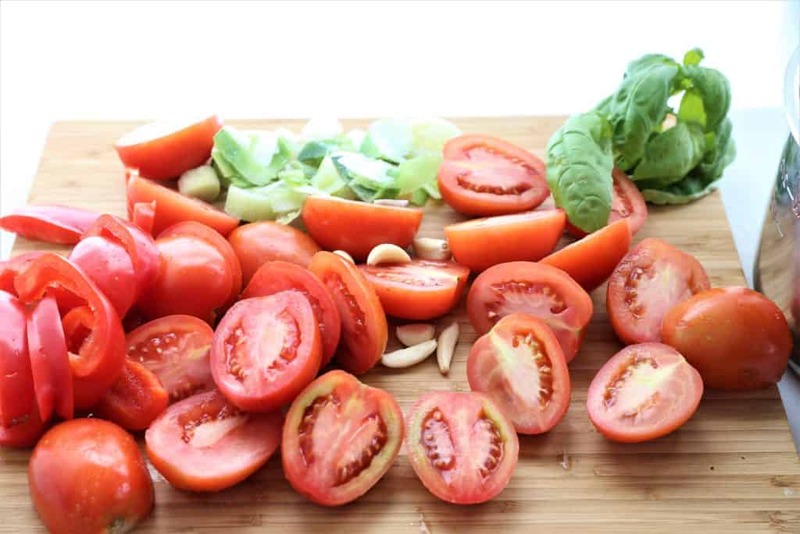 Remove the inner pot from the Instant Pot. Let soup cool for about 10 minutes. 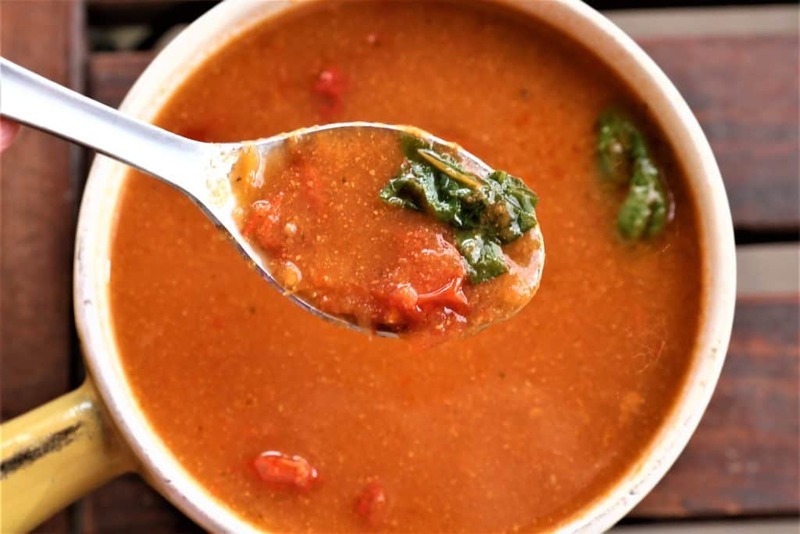 Blend the soup with a hand blender until it is smooth. 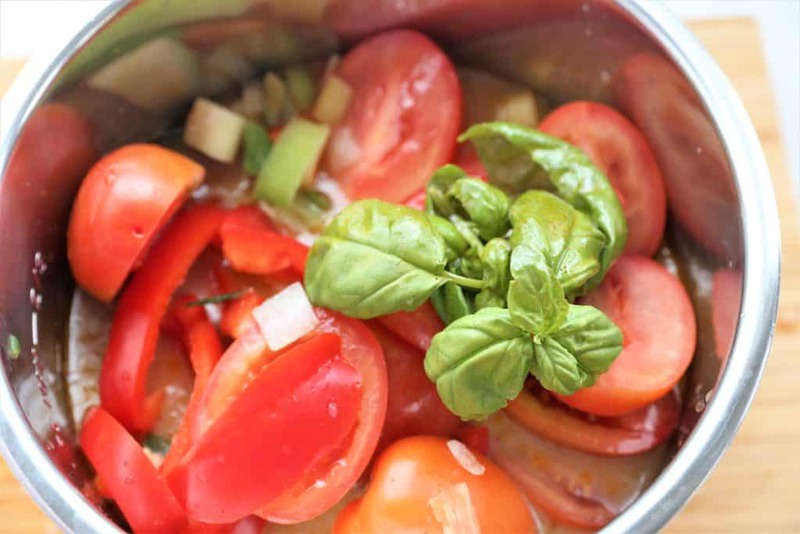 Add all ingredients to crock pot and set to high for five hours. Let soup cool for about 10 minutes. Add all soup ingredients to large soup pot. Bring to boil, and reduce heat to simmer for 2 1/2 hours. 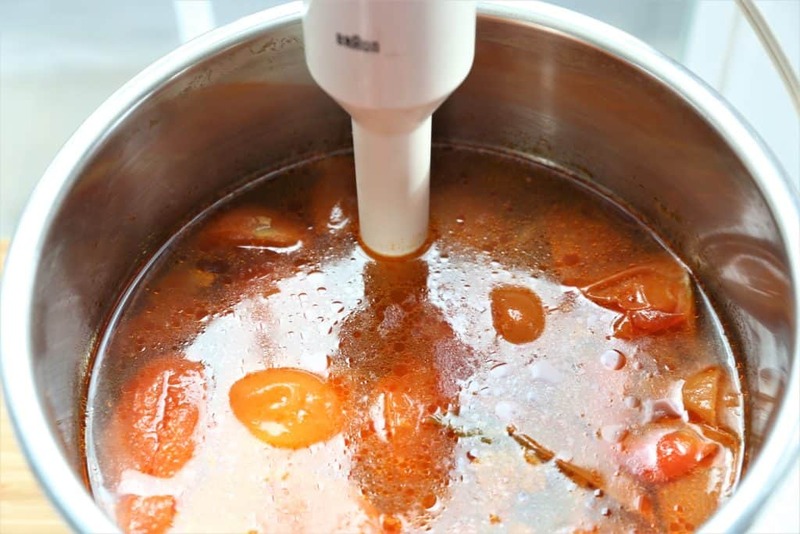 Blend the soup with a hand blender until it is smooth.